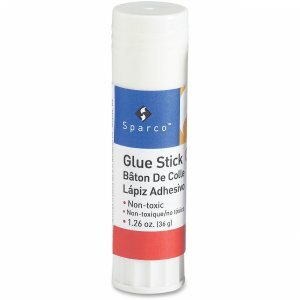 Glue stick features easy-to-use solid stick formulation. Rubs onto paper, fabric, photos, and cardboard. Nontoxic. Conforms to ASTM D4236.